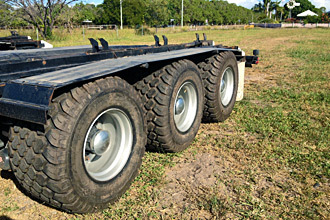 For certain applications, the end user (farming, mining, industrial exploration) will require flotation tyres when working on soft ground, such as water logged paddocks or sandy soil. 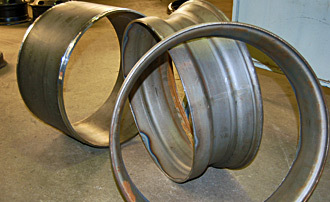 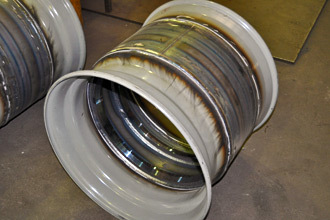 In these applications Mullins can widen your standard wheels or rims to accommodate the fitment of flotation tyres. 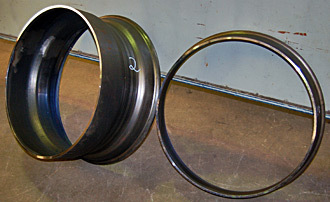 Mullins can insert rim sections and reposition centre plates so that wider rims and tyres can be fitted to any machine with appropriate clearances.